Get quotes from all major A-rated auto insurance companies from our agency! When you are looking for affordable car insurance in Oldsmar, Coleman Insurance Agency is the choice for residents looking for great customer service. We represent all major auto carriers to get you quotes from them tailored to me your distinct needs. Our agents are knowledgeable and will work with you to choose your deductibles and finding qualifying discounts to save you money based on your needs and personal situation. If you dread shopping for car insurance, call Coleman for a hassle-free quote. We make it easy on you and work to take the stress out of purchasing car insurance in Oldsmar. Give us a call today and one of our professional agents will quickly and easily offer you hassle free insurance quotes. Our clients always come first at Coleman Insurance Agency and we never treat you like a policy number. We work hard to make sure you are satisfied and have the best auto insurance experience possible. Our success is only possible if our clients are happy so we always strive to give personal attention and exceptional service to let you know we value and appreciate your business. You need your car to get around and it is usually a considerable investment so you need to protect it with the right type of insurance policy. Our professional insurance specialists have experience to help you find the right coverage for your situation at the most affordable price. It does not matter if you have an older vehicle or a brand new one, we will work with you to find the best coverage that fits within your budget. At Coleman Insurance Agency, we are a full service car insurance agency that can meet all your personal and commercial insurance needs. If you are in need of commercial insurance, contact us today for a free quote whether you have one vehicle or a fleet. 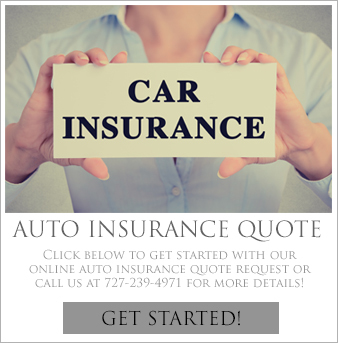 You can be assured that our insurance specialist will work hard to get you the car insurance in Oldsmar that you need. You can use our convenient online request form or call us at 727-441-9911 to get a quote on a policy that will give you peace of mind from an insurance agent you can be confident to do business with.